One of the most disturbing stories that made headlines on the Greek blog sphere today is connected to the investigation of the attempted assassination of the former leader of the conservative New Democracy party Costas Karamanlis. As reported by hellasfrappe several days ago, the investigation surrounding this case, which began in August 2011, wrapped up. In a follow-up story we discovered that member of the conservative party (and close associate of Antonis Samaras) Failos Kranidiotis apparently accompanied Alex Rondos to the prosecution where he gave testimony. The obvious question would be, where is the crime? According to what has already been reported, (on many news sites, blogs and Epikaira magazine) Alex Rondos is the silent, or as some term him, "mysterious” adviser to George Papandreou. He was also a former formal adviser to the government of Georgia, who according to Epikaira magazine (in its June issue) knew about the attempted murder plot! Rondos is not just anybody. He had also said "the Aegean should be transformed into one tourist market where both nations can come and go as they please to each others coasts for the weekend" - in other words a share of the Aegean! This very same man has apparently appeared in countries where rebellions or threat of rebellions have occurred and cannot be viewed as someone who is just conducting diplomatic work. From the Balkans and the Milosevic regime, to Georgia and Michael Saakasvili before the conflict with Russia, Mr. Rondos has been at the center of all these developments and his statements are taken very seriously. But who is Alex Rondos? Since 2004, Mr. Rondos is working on the private sector, and serves on the board of various international initiatives. He serves in the following international capacities: Chairman of Working Table l of the Stability Pact for the Balkans; and as Personal Representative of the Romanian Chairman in Office of the OSCE. Mr. Rondos’ career has included journalism at West Africa Magazine, followed by 12 years work in relief and development work, including eight years for Catholic Relief Services in senior management positions in Ethiopia and the Middle East. Mr. Rondos created the first inter-Orthodox relief agency, International Orthodox Christian Charities, and established operations in the former Yugoslavia, the Russian federation, and the West Bank and Gaza. After two years at the World Bank, he became an adviser to the Foreign Minister of Greece, George Papandreou, counseling him and implementing changes in Greek strategy in the Balkans and Turkey as well as helping manage the Greek Presidency of the European Union during the Iraq crisis. He concluded government service as Ambassador at Large. In addition to serving as personal adviser to the Foreign Minister, Mr. Rondos undertook special missions. 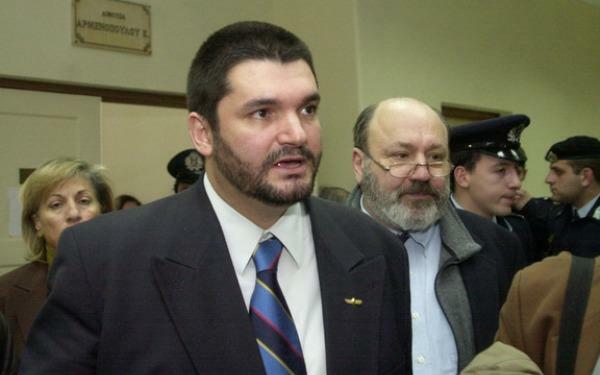 These included designing a relief mission to Kosovo during the NATO bombing campaign (report provided to UNSG); advising senior democratic opposition politicians in Belgrade leading up to and during the change of power; establishing and serving as Director General of the Department of International Development Cooperation. In this capacity, he led the Greek humanitarian mission to Turkey following the earthquake there in 1999 that led to a rapprochement between Greece and Turkey. Throughout this period, he also served as a personal envoy of the Foreign Minister on missions to Turkey, governments in the Middle East, Europe, and the USA. In a separate analysis on Alexander (Alex) Rondos we uncovered the following shocking information on the ohridsky web site. Rondos is directly involved with the Greek Foreign Ministry’s chapter on foreign aid development that holds an annual budget of some 60 million Eiros. 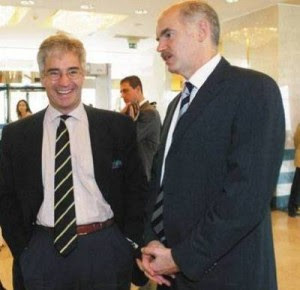 The article specifically says that his connections in the IMF and the World Bank apparently helped Papandreou to deal with the current debt crisis. It also says that he holds excellent relations with FYROM authorities especially people from the WAZ Group including the director Srdjan Kerim. His liaison or mediator with Greek political and business structures is always Marinela Koppa whose role in secret negotiations with the name is explained in WikiLeaks documents. Interestingly enough it also says that his latest activity was a project in Egypt and mentions the activity of the canvas in Egypt, which is an organization through non-violent protests that topple governments in undemocratic regimes. The article says that this “organization” apparently operates from Serbia in centres on Crete. Moreover it also notes that Deputy Minister of Foreign Affairs of the WG, Dimitris Dolis is his closest friend, which in recent years led paradiplomatic activities in Pakistan and India by Greek NGOs. The shocker for this writer was reading that Rondos’ first diplomatic activity was working with Albania, Egypt, Libya, Cyprus and Turkey to mark the division of Mediterranean. According to the same article Rondos has conducted secret activities between Tirana and Athens. According to what has been reported a series of strategic agreements on maritime border emerged from these top secret meetings. These agreements were also known and signed by Dora Bakoyannis who is also a close friend of Rondos. So what is Falios Kranidiotis doing with a man who is obviously suspiciously "dark"? What business does an MP from the conservative party have with someone who was apparently questioned at the prosecution over the assassination attempt against the former prime minister? When the story first made headlines on Tuesday, hellasfrappe was a little weary about publishing it, until we watched George Trangas' nightly talk show on Tuesday where more details were given. According to a story on parapolitika.gr on Wednesday, Trangas asked Kranidiotis what business he had with Rondos, who we repeat has been accused by the Epikaira magazine for knowing about the assassination attempt against Karamanlis, and it was revealed that Samaras' right hand man had accompanied Mr. Rondos to the prosecution (since he is his legal advisor), but also -and to our surprise- also holds close relations with Rondos and Rondos' father. Friends, this is a close associate of Antonis Samaras.